In my opinion, as a professional machine quilter, you SHOULD be charging your customer for the thread that is used in their quilt. Here is a question for you – What makes a quilt a quilt? You may answer, “It’s the fabrics, or piecing pattern, the quilting design, etc.” If you think about it – the THREAD is what makes a quilt a quilt! 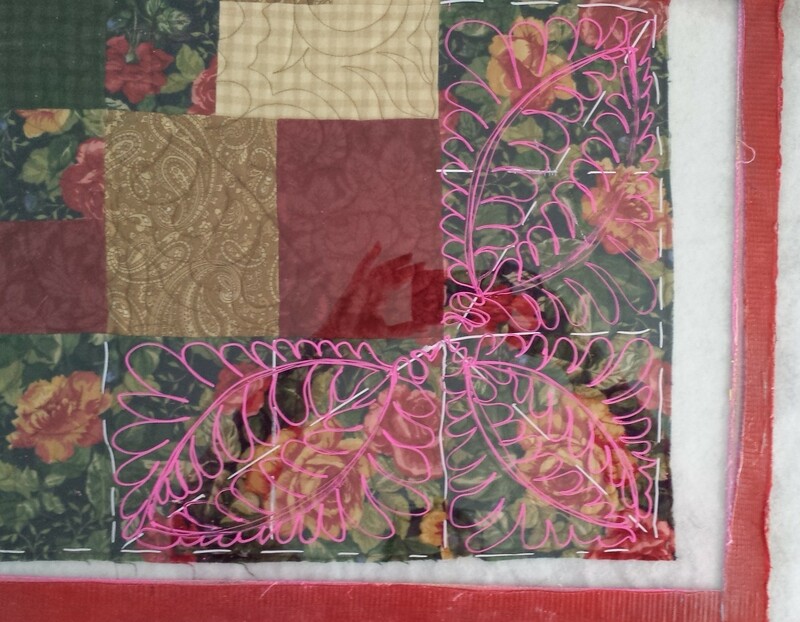 Have you ever chain pieced a lot of pieces with no thread? What do you have? Lot’s of pieces of cut up fabric! Have you ever quilted a section of a quilt with no thread? What do you have? Three layers (quilt top, batting and backing) with a lot of holes in it! THREAD is what makes a quilt a quilt! It is a legitimate part of the cost of doing business! I wrote an article Calculating the Cost of Thread which I am posting in a pdf file below. I encourage you to download this article and you have permission to print out one copy for yourself and you can keep a copy of the pdf file on your computer for YOUR USE ONLY! Note; This article was originally written in 2000 and I have significantly updated the information. I encourage you to leave a comment with your thoughts.